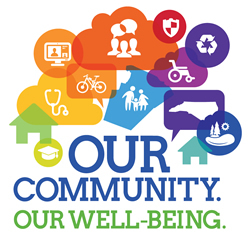 Although federally mandated, the community health needs assessment process creates an important opportunity to improve the health of the community and coordinate local efforts. Join us for the next TBHC Quarterly Meeting on February 14, 2019 (new date) from 9:30 AM – 11:30 AM at the Collaborative Labs at SPC EpiCenter located at 13805 58th Street North, Clearwater, FL 33760 for the next TBHC Quarterly Meeting. The meeting will feature panelists Lisa Bell, BayCare Health System; Kimberly Williams, Advent Health; Ann Marie Winter, Area Agency on Aging of Pasco-Pinellas, Inc., and Ayesha Johnson, Hillsborough County Health Department. The panel, moderated by Brittney Frazier, Allegany Franciscan Ministries will discuss local CHNA processes and share how local organizations can have a more impactful role. Epi Center at St. Petersburg College, 13805 58th Street N.